Before Labiaplasty: Notice extreme enlargement of labia minora, which is essentially blocking entire genital area. Such excess causes cosmetic as well as functional problem and sexual interference. After Labiaplasty: Improvement was achieved with a combination of techniques to tailor excess labial tissue. Natural appearance of labial edges is preserved. Before: Labia Minora excess is limited to front part only. After: Correction has been achieved by removing a v-shaped excess from each labial lip. This was combined with 90 degree Z-plasty on each side. Before Labiaplasty: Patient has bilateral labia minora hypertrophy with asymmetry of labia minoras. After Labiaplasty: Bilateral v-resection and reconstruction of labia minora was done to achieve this outcome. Before Labiaplasty: Patient has extreme hypertrophy of left labia minora. Right side has hypertrophy in its front part of labia only. After Labiaplasty: Bilateral labiaplasty was done to address individual issues on each labia minora. Natural restoration of vulvar anatomy was accomplished in this manner. Patient was extremely pleased. Patient is healthy male patient in his 40 s. He was bothered by loose abdominal tissue, diastasis that caused his abdomen to bulge and lack of definition of his abdominal muscles. During his tummy tuck excess skin was removed. Muscles were tightened to reduce his waist size and achieve shapely contour of abdomen. Abdominal sculpting was done to define abdominal muscles as seen in his after photos. Umbilical shape and outline was also enhanced. 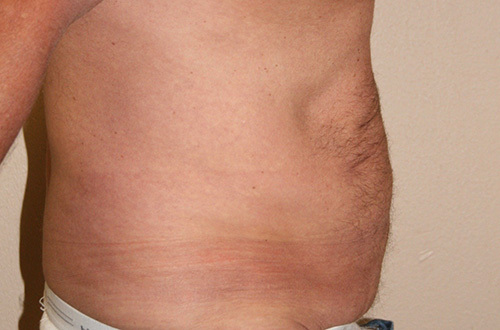 This patient had a circumferential tummy tuck to remove roll of skin and fat that circled his lower abdomen, waist and back as seen in his before pictures. Upper skin was then rolled down to replace removed roll of skin. Belly button was repositioned into new skin. Muscles were tightened to reduce waist size and flatten his abdomen. Incidentally, patient lost weight by his own initiatives after surgery and furthers enhanced his post- operative appearance. Patient had skin rolls from fatty deposits above her breasts. These rolls tend to show above bra confines and can be quite uncomfortable visually as well functionally. Liposuction is very effective tool in treatment of such axillary fat rolls. Considerable improvement was achieved with liposuction as seen in these photographs. She also had breast augmentation at time of liposuction of her axillary rolls. Patient is in early 40s. She had breast augmentation and liposuction of axillary rolls. Each operation compliments outcome from other operation. 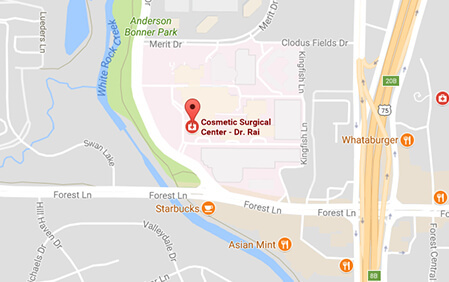 It is important to pay attention to areas surrounding breasts at time of any cosmetic surgery of breasts.